Cliffy B Describes Games Industry's "State of Turmoil"
The man behind Gears of War encourages indie devs and timely updates. Some people would take some time to rest on their laurels after creating the hit Gears of War trilogy, but Cliff Bleszinski, formerly of Epic Games, is not some people. In addition to thinking about starting his own studio, Cliffy B has taken a role as a keen outside observer of the modern games industry. According to Bleszinski, the industry has entered its most tumultuous state since the crash of the 1980s, and will exit the latest console generation in a very different state from which it entered. "I really think we're in a massive state of turmoil," says Bleszinski. He goes on to list a number of predictions for major companies, from Nintendo to Apple. "I think Nintendo could possibly be faced with the situation of becoming a company that only makes software moving forward. I think Sony and Microsoft are about to come to major blows. But at the same time, people love playing games on their iPad. The PC is going through a wonderful renaissance right now." While Bleszinski argues that this is an exciting time for the industry, the major players must be sensitive what gamers want. In addition to supplying more than just AAA $60 titles, he believes that Sony and Microsoft should make it easier for indie developers and user-created content to thrive. "All that red tape needs to be stripped away in order to create an ecosystem to allow for a product like Minecraft to actually happen on a console." Another key issue for future consoles will be supplying fixes and patches for games as soon as possible. 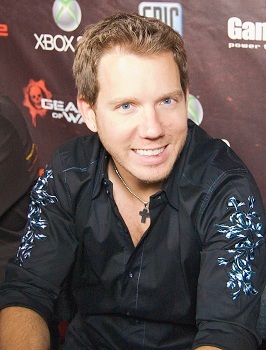 Bleszinski recounts the story of Gears of War 2, which had a number of multiplayer issues out of the starting gate. "It took us three months to get an update out," Bleszinski laments. "By that time, the majority of users had moved on to the next game or had traded it in. If Microsoft and Sony are to do well in this next generation, they are going to need to reduce that time as much as possible." He points out that PCs and tablets already do this well, so there is no reasons why consoles shouldn't offer similar functionality. Apart from his commentary, Cliffy B wants to wait a while before jumping back into the industry. He claims that now would be "the absolute worst time" for such an endeavor, and will wait to see which way the wind is blowing before investing a lot of time, money, and effort in developing a business model that might be obsolete by time it gets off the ground. For more insight from Bleszinski, keep an eye out for his keynote speech at the East Coast Games Conference in Raleigh, North Carolina in late April.